The new episode of Honda Racing: at Speed focuses on Takumo Sato’s thrilling victory at the 101st running of the Indianapolis 500, in which he became the first Asian driver to win the iconic racing event. The month of May was a big one for Honda Racing. 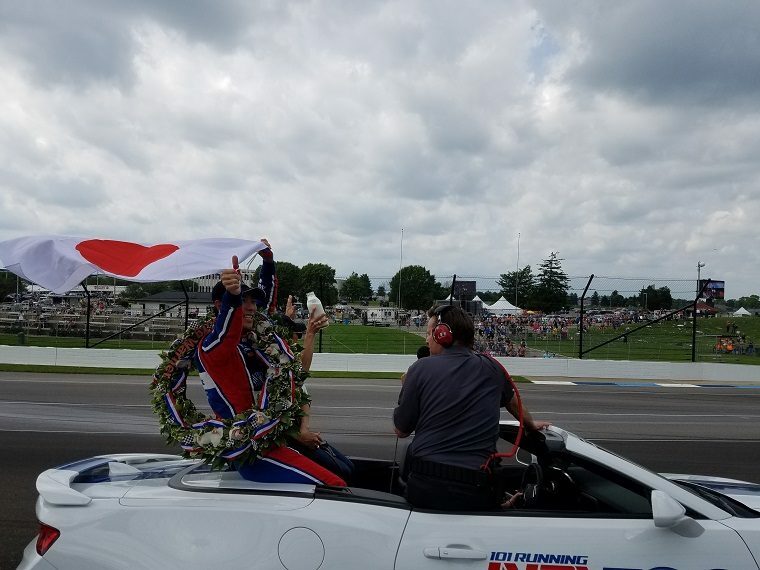 In addition to Sato making history by becoming the first Asian driver to win at the Indy 500, Formula One champion Fernando Alonso made his first foray into Indy car competition at the 500, Scott Dixon had a thrilling pole run, and Acura sports car team Michael Shank Racing made its Indianapolis debut. The latest episode of Honda Racing: at Speed covers all of that, along with Acura Motorsports events at Circuit of the Americas, Canadian Tire Motorsports Park and Lime Rock Park. “We at Carolinas Production Group are honored to be partnering with American Honda and Honda Performance Development to produce Season Two of Honda Racing: at Speed, and to move the show from online-only to broadcast and cable as well,” said show host Rick Benjamin. In partnership with MavTV, last year Honda Racing: at Speed moved from online-only distribution to a mix of national and regional channels that totals 135 million households for the 2017 season. The show also remains available online through the dedicated Honda Racing/HPD internet channel on YouTube.